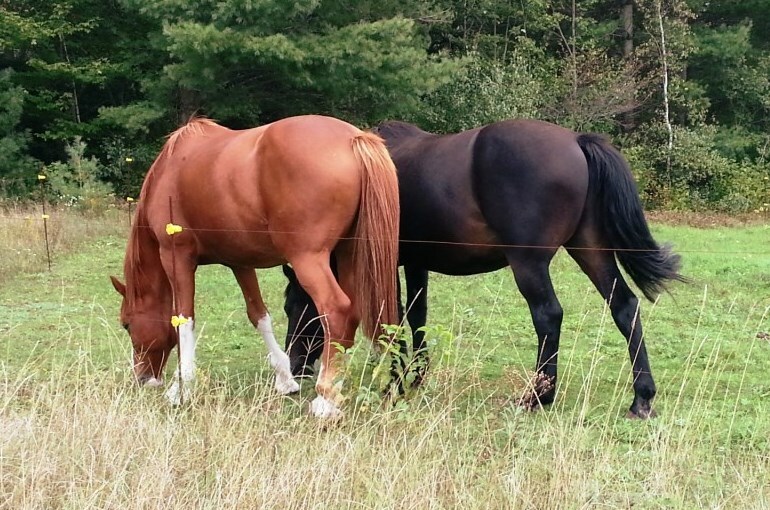 When it comes to feeding horses, we have the well-known “Pasture Vs. Commercial Feed” debate. It is true that horses (just like cows, pigs, goats and other animals that are now domesticated) had survived through centuries only by eating pasture and drinking water in the wild. However, the average lifespan of a horse in the wild is much shorter than the lifespan we prefer our horses to have. Furthermore, certain animals (older, hardworking, injured etc.) need high levels of proteins (and/or vitamins), which can be found only in commercial feeders. In all cases, horses must have 24 hour access to fresh water and hay. A horse can daily eat more than 1% of its body weight in hay. If you possess only young and robust horses and if your field can produce enough diverse pasture all year round, you can base your horse nutrition at fresh and hay pasture and avoid spending hundreds of dollars to commercial feeders. 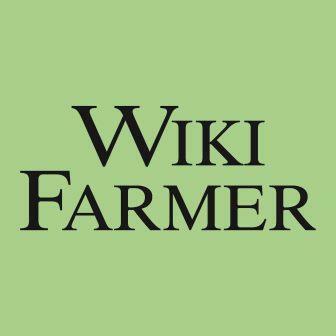 With the term pasture we define a broad range of plant species: grass, clover, alfalfa (Medicago sativa), lollium, legumes, brassica, etc. Timothy, Alfalfa and Trifolium Alexandrinum (fresh or as hay) are good base for the nutrition of horses. Sorghum species are poisonous to horses and must be avoided. A future horse owner shall make a research on locally found plants that can be toxic to horses. The above mentioned rules are general and apply to the majority of healthy horses. However, not two horses are the same, nor do they have the same physical ability and needs. For instance, older horses usually suffer from dental and/or mobility problems. Thus, they may not be able to graze 15 hours a day to find their food. Therefore, we must always have in stock different types of commercial feeders. Bran, Sugar beet, Pellet Mix (pellet, flakes, corn), Oat, Barley, Chaffed (chopped hay) and Vitamins are used to supplement horses’ nutrition. Grains are mostly used when we anticipate a weight growth. Although grains at small quantities do a great job, we must be very careful, because excessive quantity will result in life threatening situations. As a rule of thumb, mature, healthy and robust horses can consume more hay and pasture, while older, injured and hardworking horses require more proteins and maybe vitamins. If our horse is in heavy work or is old, we can offer commercial mixed feeders, which contain high levels of proteins. Chaffed products are usually offered to older animals with dental problems. 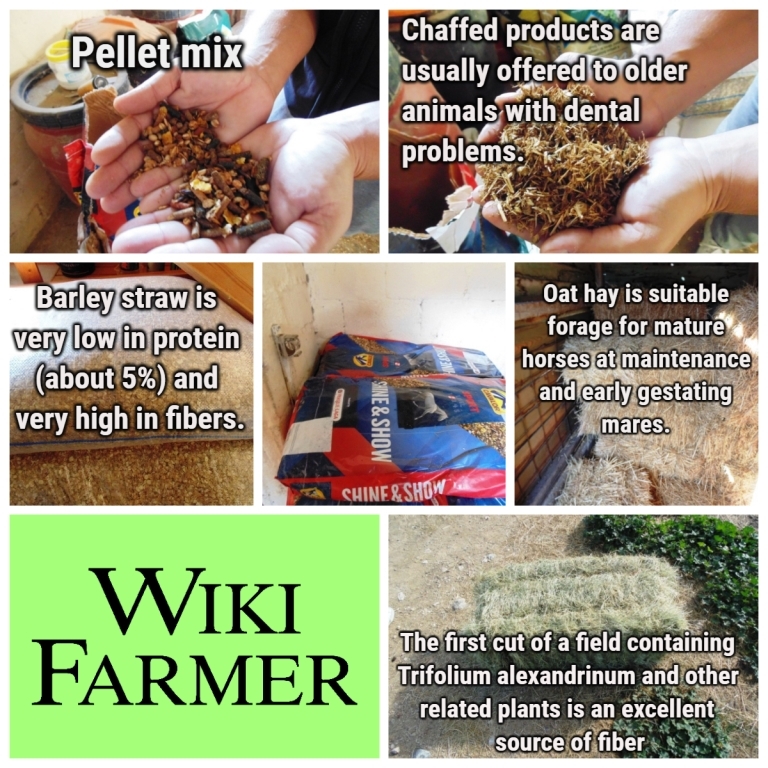 Barley straw is very low in protein (about 5%) and very high in fibers. The first cut of a field containing Trifolium alexandrinum and other related plants is an excellent source of fiber. 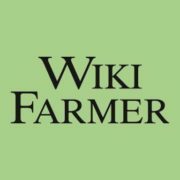 Oat hay is suitable forage for mature horses at maintenance and early gestating mares. According to Bob Coleman, horse owners should test oat hay for nitrate levels to ensure the forage is safe. The levels of nitrate in the horses total diet should not exceed 0,5%. In general, the stomach of horse is small compared to its great size. Thus, horses shall ideally have continuous but controlled access to small doses of food, so that they can enjoy at their own pace small and frequent meals rather than 2-3 bigger meals a day. However, keep in mind that right before and right after a hard exercise (for example riding), you should not allow horses to eat, because they will most probably suffer from colic. Finally, horse owners often place salt blocks inside the horse’s box. In this way, horses will lick the salt block free choice and they will satisfy their needs in sodium and chloride. However, keep in mind that many salt blocks are mineralized. They also contain other minerals. A great percentage of horses get enough of those minerals from their commercial feed or vitamin supplements. Thus you can discuss with your local licensed vet on your horse diet and hence on providing mineralized salt blocks or not. A first time horse owner shall first consult local experts, local veterinarian and/or agronomist in order to form a rational annual feed program and be informed of toxic plants and shrubs that are commonly found in the region. In many cases, the flora of the region and the weather conditions are important parameters of the final equation. The vet and the horse owner should also examine the physical and dental condition of the horse. Under the supervision of a licensed veterinarian, the farmer may include some vitamins to certain horses feed program. Feeding horses daily is a very complex issue, especially if you have more than 3-4 horses of different age, different background, different needs, some of them with dental problems etc. If you rely only on your good memory and you feed them by heart without keeping notes, you will soon end up confused about each horse daily feed program. We recommend placing a blackboard in the room where you prepare and you mix each horse’s feed. 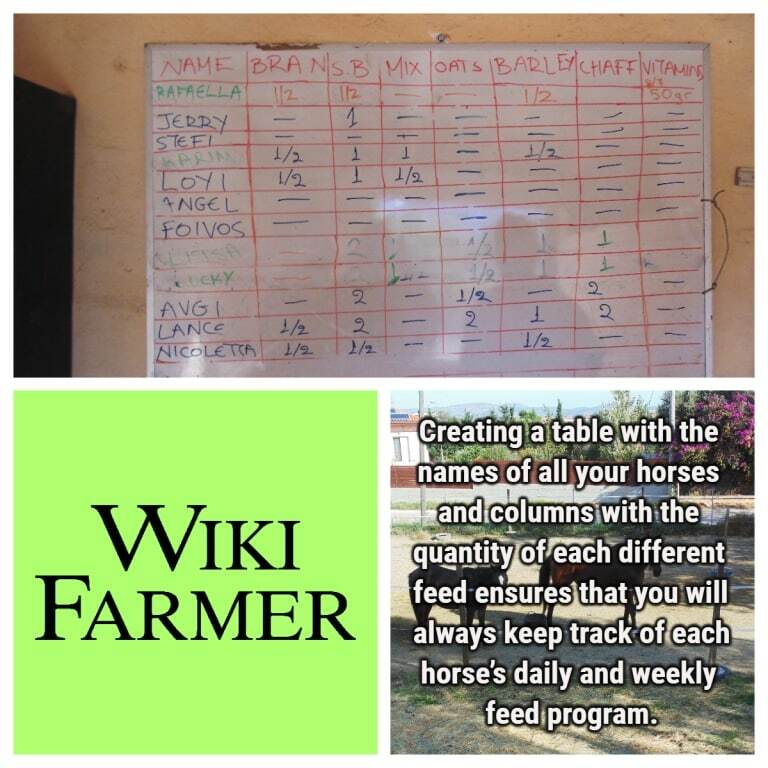 Creating a table with the names of all your horses and columns with the quantity of each different feed ensures that you will always keep track of each horse’s daily and weekly feed program. Although it seems boring and time wasting, keeping this kind of notes can become very useful in some cases: Whenever there is an alarming symptom for a horse, the vet asks about the horse’s feed during the last 3 or 4 days. In that case, you have to be very precise and give analytical information regarding type of food, ingredients and exact quantity, so that the vet will have all the data to make a proper diagnosis. You can also read more on Plants Poisonous to Horses. You can enrich this article by leaving a comment or photo of your horse feeding schedule and types of food.